This used plates & rammer is available now from SM Plant Limited, along with other used Wacker Neuson plant. This new breaker is available now from SM Plant Limited, along with other new JCB plant. This new breaker is available now from SM Plant Limited, along with other new Sullair plant. 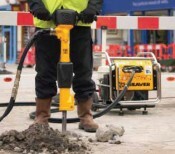 This new concrete device is available now from SM Plant Limited, along with other new Wacker Neuson plant. This new breaker is available now from SM Plant Limited, along with other new Wacker Neuson plant.